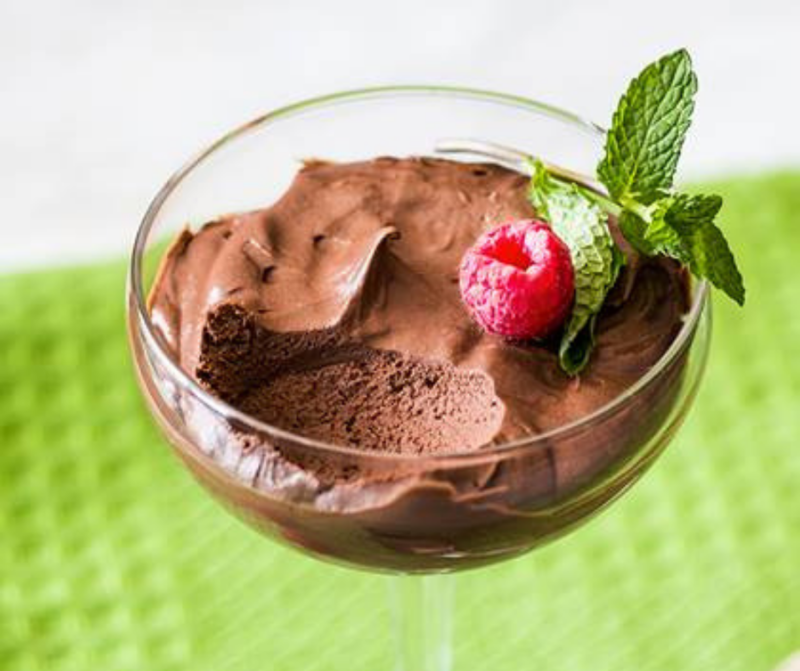 Looking for a truly simple chocolate mousse recipe? If you have ever wanted to make chocolate mousse at home, this is the chocolate mousse is made in 15 minutes and ready to serve in a few hours. I love dessert. I mean in case you can’t tell, desserts are my favorite. Any kind, but especially chocolate. And I love chocolate mousse. It is rich and creamy and just delicious. 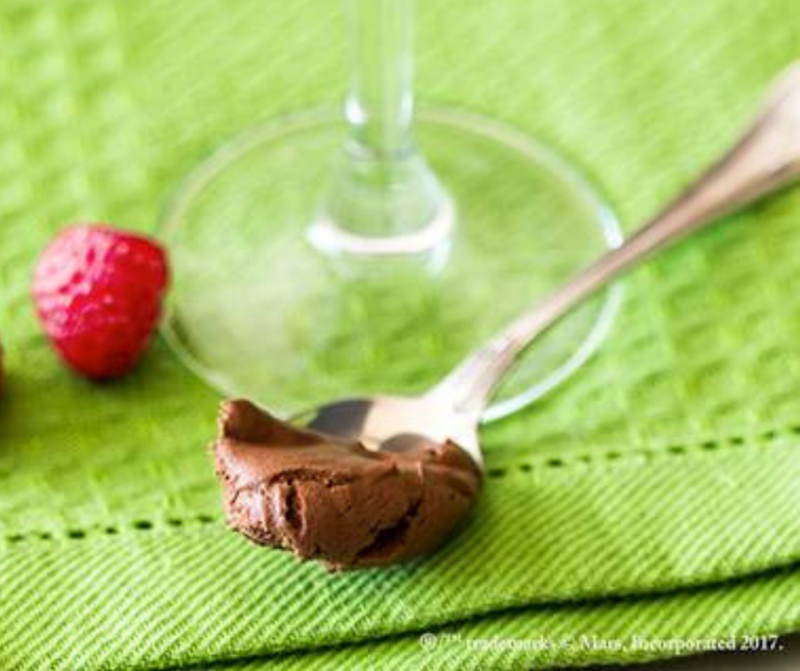 Did you know that National Chocolate Mousse Day is on April 3? Now is the perfect time to make this chocolate mousse recipe. 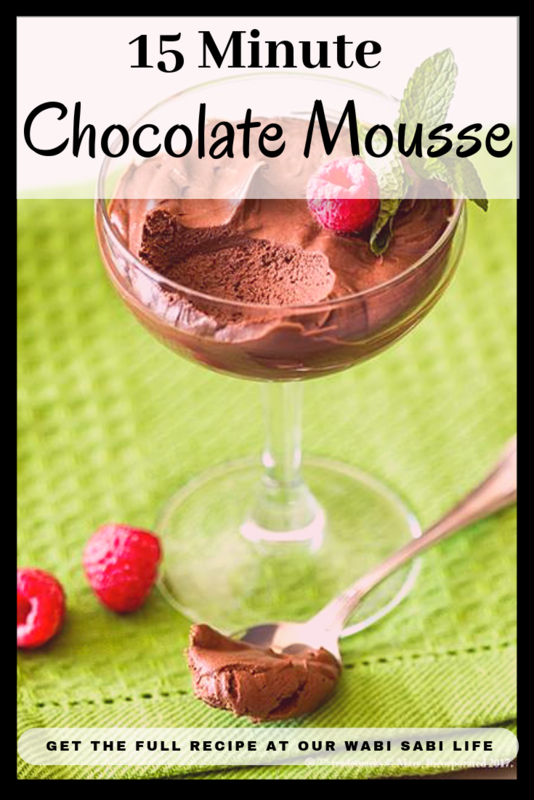 Chocolate mousse is a French term that basically means a light and airy, soft dessert. 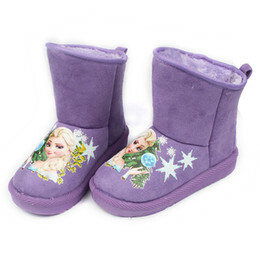 The texture is made by incorporating air into the mixture. Chocolate mousse is like creamier, velvetier, way better than you thought possible pudding. 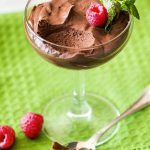 How to Make Chocolate Mousse Easy? Some people get off put by the name chocolate mousse. If you have ever heated chocolate and milk on a stove top, you have already done the technique. It is truly easy, and this recipe is made in 15 minutes. It spends 6 hours to overnight in the refrigerator and it is ready to serve. I want to thank AMERICAN HERITAGE® Chocolate for providing me with this recipe and samples. The chocolate makes an incredible chocolate mousse. AMERICAN HERITAGE® Chocolate has a unique place in the history of Mars Wrigley Confectionery and in the hearts and minds of people across America who appreciate an artisanal, authentic approach to making and celebrating chocolate. With its origins in the Americas over 3,500 years ago, chocolate has been woven throughout the fabric of culture for millennia. Inspiring creativity and a catalyst for making new family traditions, chocolate’s timeless story is one that spans cultures, peoples, rituals and experiences. If love makes the world go ‘round, chocolate makes it richer. Melt chocolate in a metal bowl set over a pan of simmering water. Stir frequently. Heat 1 cup cream in a 1-quart heavy saucepan until small bubbles form along the rim of the saucepan. Whisk together yolks, sugar, and salt in a metal bowl until combined well. Add ¼ cup hot cream in a slow stream, whisking to incorporate, and then add remaining hot cream. Transfer mixture back to the saucepan and cook over moderately low heat, stirring constantly, until mixture coats the back of a spoon -when drawing a finger across the spoon you can see a line. Do not let boil. Remove from heat and add vanilla and nutmeg. Whisk custard into chocolate until smooth. Cool to room temperature. Beat remaining 1 cup cream and one teaspoon sugar in a bowl with an electric mixer until it just holds stiff peaks. Fold one-fourth of cream into chocolate custard to lighten, then fold in remaining cream gently but thoroughly. Spoon mousse into eight 6-ounce dessert glasses and chill, covered, at least 6 hours or overnight. Garnish with berries, if desired.